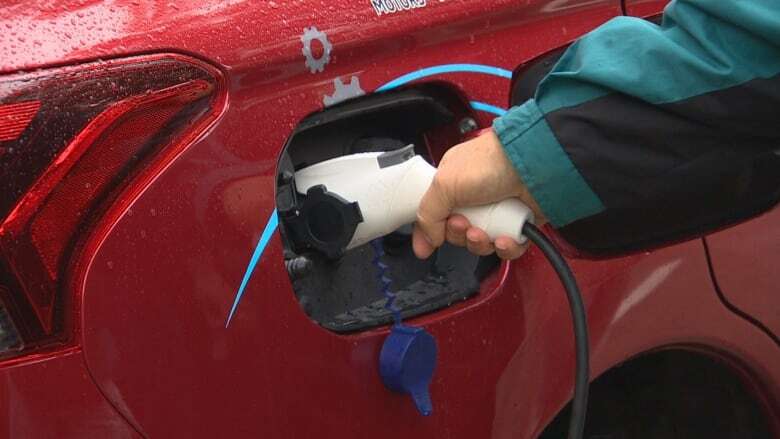 Electric vehicle owners in Manitoba say more needs to be done to encourage drivers to hang up the gas pump and switch to zero-emission automobiles in this province. 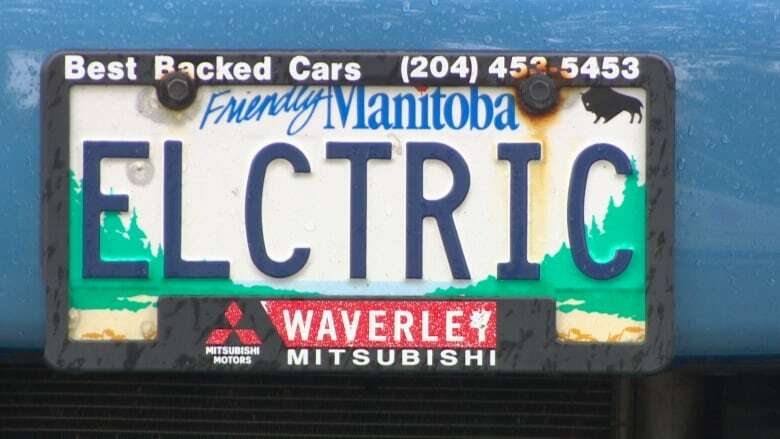 The Manitoba Electric Vehicle Association (MEVA) held its annual MEVAfest Saturday, an event that brings electric vehicle (EV) owners out to meet and answer questions from drivers interested in making the switch. 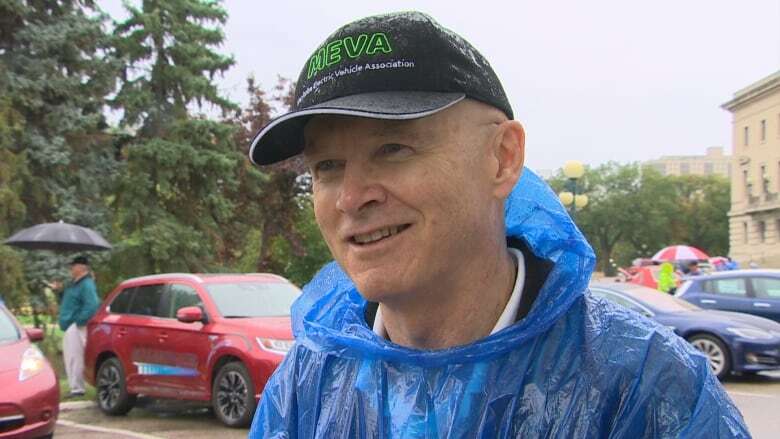 Robert Elms, president of MEVA, says there are currently more than 6,000 electric vehicles on the road in Manitoba, but the majority of those vehicles are hybrids. That's because Manitoba simply doesn't have the fuelling infrastructure yet, he says. 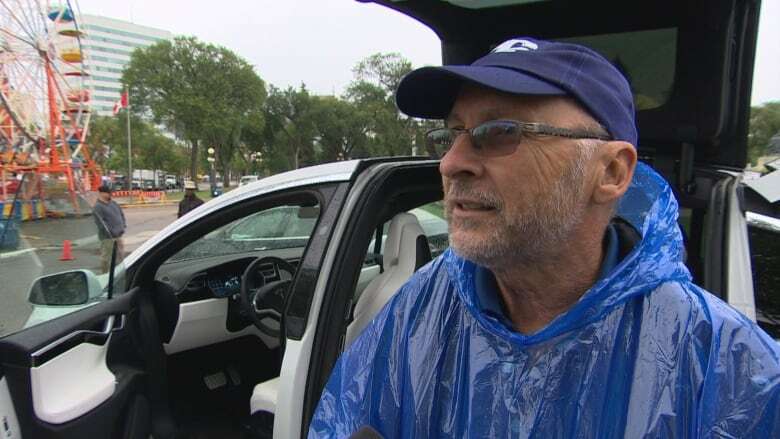 "Most of them would love to be driving pure electric, but we can't because there aren't enough electric vehicle fast charge stations in Manitoba," he told CBC News. Elms says Manitoba would need a network of between 25 to 30 fast charge stations in order for drivers to get around the province using electric vehicles. Right now Elms says there's just one station in Winnipeg that's open 24/7 and a handful of dealerships that offer the service intermittently. "But really, it's not enough," he said, adding other provinces have seen a spike in EV sales after building a network of charging stations and offering incentives to buy the vehicles. "Ontario just put in over 100 just last year and Ontario's sales of electric vehicles last year soared up by 145 per cent in one year. New Brunswick is installing 12, Nova Scotia is installing 15, Quebec has got well over 100 across the province and B.C. is going to have over 63 charging stations." "We're just a little behind here." Elms blames a misconception that EVs don't run well in cold climates as the main reason Manitoba governments have been slower to act on building infrastructure and offering incentives to purchase the vehicles than other provinces. It's a misconception he's happy to debunk. "As members of our association are proving, this is a terrific place," he said. "In fact we really have a great advantage in Manitoba — there are over half a million electric charging stations if you want to pull in and trickle charge." He's talking about block heater plug-ins, which of course are found at homes and parking lots all over the province. What the naysayers also don't realize, he says, is EVs actually have an advantage over their gas-fed cousins — they take seconds to get warm even on the coldest Manitoba morning. That means saying goodbye to waiting for windows to defrost and heaters to warm up. "With an electric vehicle, the heaters are electric, you've got instant heat," he said. And while the initial cost of buying an electric vehicle is higher, Elms says the savings on gas and maintaining the vehicles pretty well even out over time. That's something David Weiss appreciates about his new Tesla XP100D. Weiss says he's put roughly 11,000 km on the car since he bought it in July, and the trips have cost him $212 in electricity. He says it would have cost him 10 times that to fill his old combustion engine vehicle. "I love it," he said, while smiling at the meeting Saturday, explaining he plans to use the savings to travel. "Now I can do everything on my bucket list that I've ever wanted to do. I don't even think about the miles." Elms estimates the cost of creating a Manitoba-wide charging network would come in around $4 million, a price tag he says the federal government and private investors have helped pick up in other provinces. "Other provincial governments have come on board, and we need our provincial government to come on board," he said. "We've got a surplus of hydro electric power here, and couple that with the fact that we've now got terrific vehicles to drive, it's a no-brainer. "And frankly, they're just a lot more fun to drive."